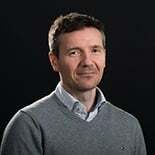 The following post was written by Julien Flaig, a masters student from Grenoble Institute of Technology that worked with us during the fall of 2013. Feel free to follow Julien on twitter. The TV turns off right during the final sprint of the cross-country skiing competition! On your home island, electricity demand periodically exceeds the supply capacity—yielding troublesome power outages. The local utility has planned to build a new transmission line but it will only be operational in few years. By then, wouldn't it be convenient to organize with your neighbours so that everyone can watch their favourite TV programs carefree? Following power markets restructure, decentralization of energy systems has been made technically possible by breakthroughs in the fields of renewables, energy storage and I.T. Energy consumers are now able to control their consumption while producing and storing energy. New market players called ‘aggregators’ are emerging in Europe. They are dedicated to optimizing the electricity demand of a cluster of consumers. For instance, in order to keep the demand under the transmission capacity in a region. Such demand response aggregators reward the consumers who grant them electricity consumption flexibility e.g. those accepting to have their space heating slightly reduced when needed. 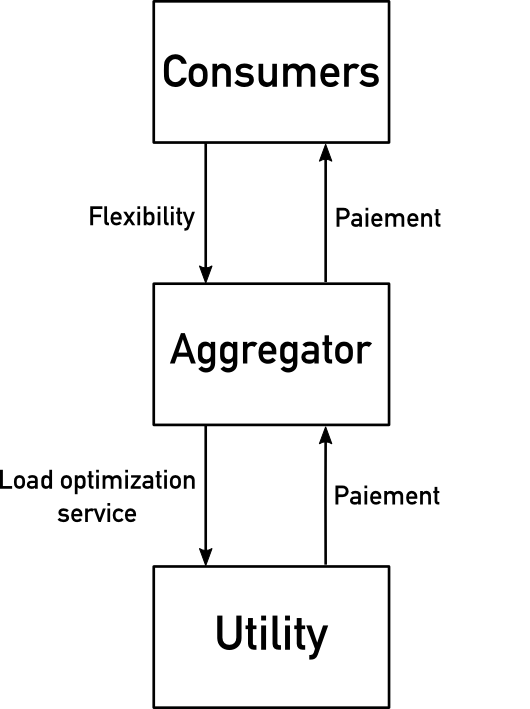 The aggregator is paid in turn by the utility for the load optimization service they provide. Let us summarize: Cooperation between electricity consumers is legal, and technically feasible. Yet, having the best technology available—super-fast computer networks, and ultra-efficient windmills and batteries—does not tell you how and when to use it! When should I store energy? When is it better to sell power on the market? How much? Which appliance should I turn on or off? When exactly? At eSmart Systems, we are investigating methods to solve this decision problem, which is harder than it may seem. This kind of problem has been widely studied and is known to be difficult to solve when some decisions are represented by binary—turning on or off an appliance—or discrete variables. If the number of decisions to be made is too high, the problem becomes extremely long to solve. Pretty annoying when you want to make decisions fast to be as close as possible from real time. This was our first challenge. As you may have guessed, there is another issue bringing complexity to our problem: uncertainty. Decisions are to be made in advance but the value of some parameters such as a windmill’s production can’t be known in advance. A typical approach to tackle uncertainty is to consider worst or mean situations. However, in our case, this would have yielded bad decisions or even got the problem impossible to solve. We overcame the uncertainty issue by implementing a method based on the way uncertain values are actually getting known over time. This method takes into account a series of possible scenarios simultaneously, which results in huge models… with a lot of binary and discrete variables (remember the first challenge we mentioned). My master’s project at eSmart was to model the problem in a way that would make it easier to solve and then, well, solve it! I worked at the Norwegian branch of the company in Halden with Stig Ødegaard Ottesen. My Academic advisors were Prof. Bernard Ruffieux from my home university and Prof. Asgeir Tomasagard from the Norwegian University of Science and Technology where I had spent a greatly fulfilling exchange semester. Halden is no doubt the place to be if you want to work on the power market in Norway. Major research facilities are located there as well as companies and a cluster dedicated to smart energy markets. Still, the city remains idyllic and close to nature. The result is this pioneering spirit you can only find in relatively small but cutting edge communities—perhaps the best working environment you can dream of.